Welcome to the Chatham Conservation Foundation! 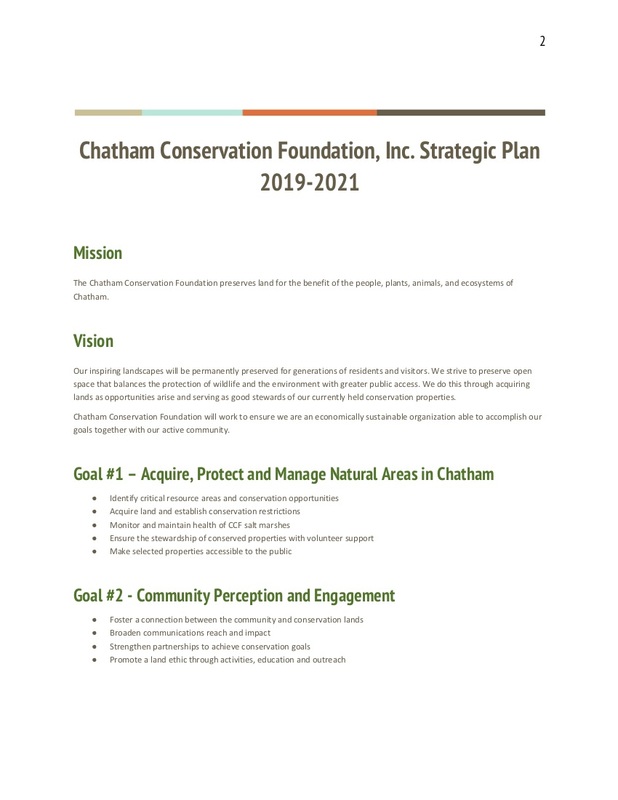 The Chatham Conservation Foundation, Inc. (CCF) preserves land for the benefit of the people, plants, animals, and ecosystems of Chatham. It is a non- profit organization dedicated to the purpose of acquiring land, by gift or purchase, to be preserved in its natural state in perpetuity. It was the first private land trust on Cape Cod when it received its charter from the Commonwealth of Massachusetts in 1962. The Foundation is governed by a volunteer Board of Trustees and supported by a dues-paying membership. An annual meeting of the membership is held generally on the first week in August in Chatham. The Foundation maintains three walking trails for public use on its property and provides a trail map of these areas. The Foundation also owns the Josiah Mayo House at 540 Main Street. Built between 1818 and 1820, the house is located in Chatham center and operates as the Foundation's headquarters. Another beautiful image from member Tina Delaney! Thanks to Ryle Murphy for filming our property which can be seen from the ground at the end of Stony Field Road near Scatteree landing.